Internet access is included in all AIFS housing in Paris. The standard housing option is a homestay. Students can pay a supplement to live in an apartment. The homestay experience can be the most rewarding part of your time abroad. 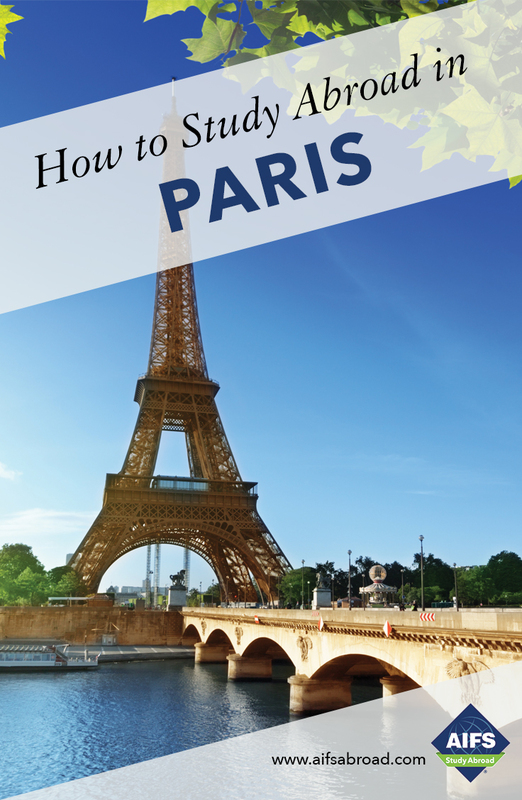 It is the best way to learn French, gain a unique and personal insight into French culture and integrate into the local community. Many students keep in touch with their families after they return to the U.S.
You will share a room with another AIFS student and there may be other international students living in the house. All homestay students are given their own key so that they can come and go as they choose. All homes have Internet facilities and there is privacy for study. For students who want to live more independently, the apartment option is ideal. AIFS apartments are located throughout the city in different residential areas. Typically two AIFS students share a bedroom with shared kitchen/living area and bathroom. Accommodation can range from studio style to 3-bedroom apartment depending on the number of participants. The apartments are not located in student blocks but regular apartment blocks with real Parisians as your neighbors. They are located up to 45 minutes from the office and classrooms by public transport. All apartments have Wi-Fi access. *Students on the fall quarter program receive 20 snack vouchers, one restaurant voucher for one three-course meal and will be invited to two group dinners during the course of the program. All students should expect to use Paris’s public transport system on a daily basis. The Paris Metro system is one of the most efficient underground train systems in the world. Generally students can expect to commute 30 to 45 minutes between home and the location of their classes, this is normal in Paris. AIFS can help you to arrange local volunteer opportunities with organizations such as Les Restos du Coeur where volunteer students distribute food parcels and hot meals to homeless people in Paris; Emmaüs which develops literacy programs and provides leisure activities for disadvantaged children in Paris; Secours Populaire a charity which provides access to health facilities, education and food for those in need. Bonjour! "Hello" in French, one of the four languages I am fluent in, along with English, German and Slovak. You have quite the experience awaiting you in Paris; from the cultural activities offered, the number of museums to visit and the various people you'll meet, it is sure to be an amazing time. I studied for three separate MA degrees in Paris and Grenoble and have lived in four different countries. I consider myself a "global citizen" and am looking forward to helping you to adjust to your time abroad. As your Resident Director, I am here to advise, listen, help and encourage you to make your stay in Paris a wonderful experience that you will always remember. My office is located right in the heart of the city and my door is always open.